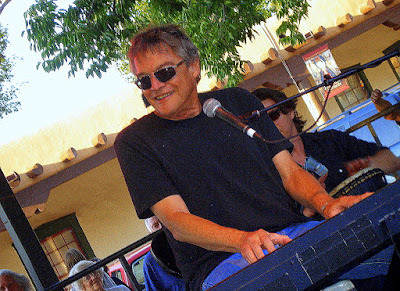 Artist, musician and Santa Fe resident Terry Allen was honored this week when NPR featured one of his tunes on the Songs We Love segment. The album's longest track and gravitational center, "Cortez Sail" is a rickety waltz which pivots between whimsical road ballad and ominous war song, between Jabo's keenness to get back across the border into Mexico (homesick and ducking a double murder he'd committed in Cortez, Colorado) and 16th century conquistador Hernan Cortes's drive to brutally colonize the Aztecs. It's a dialogue between the freedom to move, to flee, to choose one's destination, and the power to dominate — or the powerlessness of being dominated. Juarez is being re-released again in May, this time on a label called Paradise of Bachelors. You can pre-order HERE. The label also plans to re-release Terry's second album, Lubbock (On Everything).